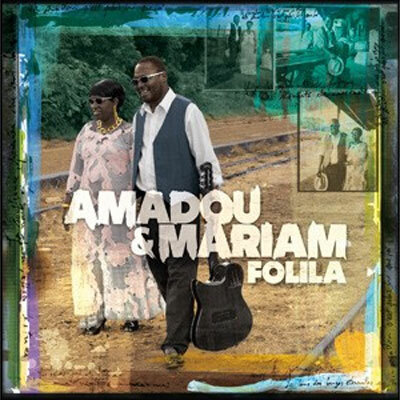 At this point in their career, seven albums in, Amadou and Mariam have mastered a particular sort of contrast. Their lyrics touch on difficult political matters, usually issues concerning their native Mali, while their music is consistently joyful, catchy and infectious. At first listen, the juxtaposition between their words and peppy rhythms is jarring, but eventually the two elements integrate to form a new kind of protest music. The blind couple from Mali is rousing their listeners to action, urging them to carry the flame. To their contemporaries, the message seems to have gotten through, as many of them make appearances on their latest, Folila. “Dougou Badia” takes advantage of the crooning power of Santigold, while “Wily Kataso” gets a hand from TV on the Radio. Even Jake Shears, of the Scissor Sisters, sings backup on the soothing “Metemya,” as good a distillation of the band’s appeal as anything from Welcome to Mali. It’s fair to say that Folila, despite its lineup, sounds largely the same as its predecessors, but it’s also fair to say that’s a good thing. There aren’t many bands that know who they are as well as these two, and even fewer who can maintain such quality.